Thelma Sadoff Center for the Arts (THELMA) announced today that it will be teaching a camp dedicated entirely to the creation of comic books. 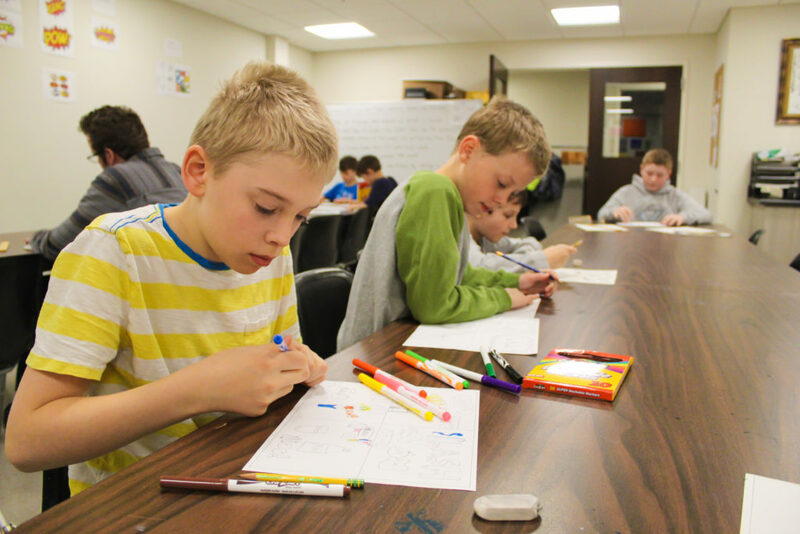 The Comic Book Camp will be held July 8 – July 12 from 9:00 am to 12:00 pm. The camp will focus on the details of developing characters, writing dialogue and creating a basic storyline for a comic book. Each day will be dedicated to employing techniques from professional cartoonists including layout, penciling, inking, and lettering. At the end, students will create their own four to six page comic book that tells a unique story. The one-time fee for the camp is $150 ($120 for THELMA members) per student, ages 7 – 18. Click HERE or call 920.921.5410 to sign up for the camp. The camp includes all standard materials. Camp size is limited. THELMA is located at 51 Sheboygan St., in the heart of Downtown Fond du Lac’s Arts and Entertainment District. THELMA is a member-based, privately-funded non-profit dedicated to providing arts experiences not readily available in the area. Intimate concerts in the Great Hall, street concerts with major performers, indoor films, and art from world-renowned artists are available at THELMA. THELMA also offers a stunning backdrop for weddings, meetings and all social and corporate gatherings.